We are your dedicated partner to help your company growth. We transform your vision to a successful business. 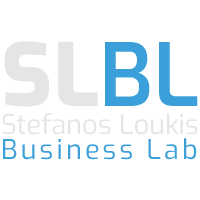 Slbl is a business consulting company consisting of young people with fresh ideas and different skills. We believe in human relationships and teamwork and we are the ideal team to support your company growth. Stefanos Loukis is the chairman of the company. Stefanos holds a bachelor degree in Business Administration from University of Piraeus a a Master of Science in E-Government and Master of Science in Digital Innovation and entrepreneurship from University of Aegean. During the last decade, he created and helped a lot of companies and now he has built a competent team of partners-friends to help companies achieve their goals. With a Bachelor in business administration and an MSc in digital innovation and a 2nd MSc in E-goverment, Stefanos is the right consultant for your project. No matter what size your company is, we can ensure, improve and maintain business growth. Marios is an award-winner in the annual google online marketing challenge and he will guarantee the strong online presence of your business when people are seeking for your products or services. Depending on your project, opening a company to a foreign country may be necessary. Stefanos has all the experience and knowledge required to present you the best possible options for your needs and Stellianna will do the rest. Learn how to properly protect your customer's personal data according to the new European Law. Protect your business from the consequences of not complying with EU's General Data Protection Regulation. Your logo is your property. You have to protect. Just ask it from our officer Marieta and our experienced lawyer Stellianna and will take on it and protect your brand whatever market you may operate. We value our customers. We are happy to see each company's trust in our expertise and we guarantee their successful future in business.